Join us for an Ecumenical Maundy Thursday service. You are welcome to join us for an agape meal at 5:15 pm in our fellowship hall that will include dishes inspired by Mediterranean culture. 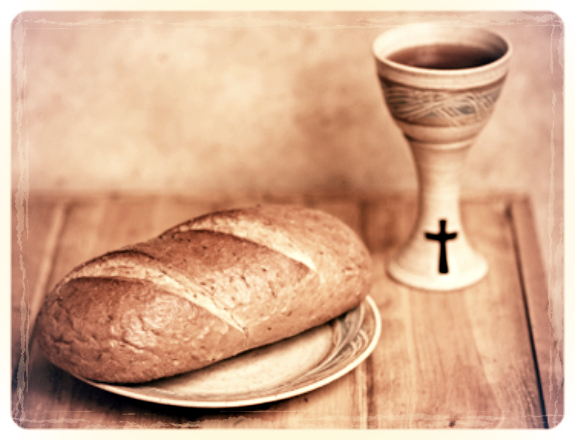 Following the meal, our Maundy Thursday service will take us with Jesus to the table to celebrate the Lord’s Supper and into the garden to remember Jesus’ prayers for us. For those planning to join us for the meal, please RSVP to the church office by Monday, March 30th. Christ lives in glory forever. Amen. This past Sunday, we took a look at Luke's first summary passage in the story of Acts: chapter 2, verses 42-47. Here, Luke is presenting a billboard of what the Church looks like at its best. He is trying to convince Theophilus that Christianity is worth his attention. The early Church captures what all of us are looking for, whether we know it or not. This is a close community that truly cares for one another, where everyone truly is seen as a brother and sister, and where no one person is considered more or less important as the other. Needs are being met. There is joy in their fellowship. Take a moment to think about a time in your life when you experienced the joy and blessing of a deep, loving community? Where was it, and what made this community so different? What role did you play in this community? Most modern scholarship agrees that Jesus was an actual historical person. They can vouch for him gathering a rag-tag group of disciples in and around Galilee - largely as a counter-movement to the harsh treatment of the Romans and the excesses of the elites down south in Jerusalem. But, when Jesus finally made the long journey down to the center of the Jewish people in the city of David, things did not go well. That's an understatement. Arrested for sedition and charged with blasphemy, Jesus was beaten severely. Then he was crucified, which wasn't anything out of the ordinary for those stringent Romans. In six hours he was dead. They came by to break his legs, but there was no need. This hero of the people from Galilee went like so many other messianic-figures, only with even less of a roar. Just like that, three years of budding hope seemed a total loss.